"If it comes down to a showdown, my money's on Blake. Well half of it. I'll put the other half on Avon." The Liberator crew are trying to discover when, where and how the destruction of the ship will occur. 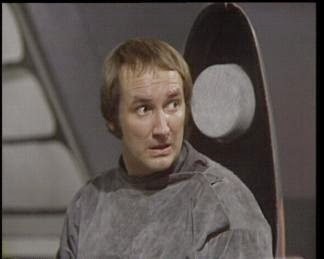 Avon works out that the ship will be destroyed in a distant sector of space and Blake decides that, if they can stay away from that part of space then Orac's prediction will never come to pass. Suddenly the ship comes under attack from two unknown ships capable of matching the Liberator's speed and firepower. Blake and the crew out run the ships but the battle has left vital ship's systems damaged. The ship is flying blind at full speed and even Zen appears to be out of commission. The crew attempt repairs but quickly discover that the ship appears to have turned on them. 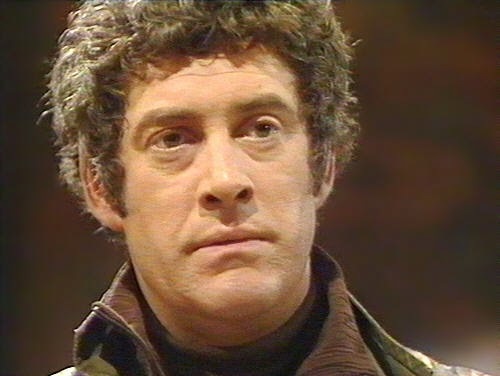 Blake is attacked by a live electrical cable and Avon discovers that the ship is rejecting the repairs that he is trying to make. Avon deduces that the ship has been taken over by an outside force - namely the people who originally built the Liberator and who are now looking to reclaim what belongs to them. One by one the Liberator crew are captured as the ship is boarded until only Blake, Avon and Jenna remain. They try to get Orac to take back control of the ship but he is too preoccupied with another matter to help. Then it is too late as the ship is taken back by the people who originally built. The Liberator is taken to an unusual and impressive looking space station where Avon and Jenna are imprisoned and Blake is taken to be interrogated by 'The System'. The System is a giant computer system, based on the space station, that controls the populations several planets. The System is served by the Altas, who are little more that human puppets who speak for the System, as well as slaves. Blake's interrogation is interrupted when an outside source interferes with the System's operations. 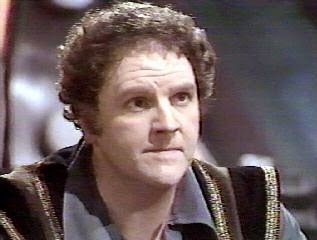 Blake deduces that the 'outside influence' is Orac who is still on board the Liberator. Blake is being taken to be executed when he is rescued by one of the slaves. 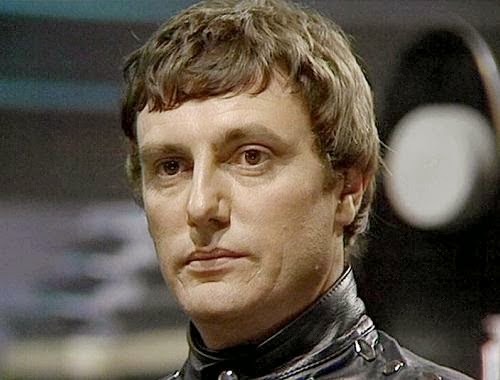 Meanwhile Vila has released Avon, Jenna, Cally and Gan and they reunite with Blake as they try to return to the Liberator. With the slave's help they make it back to the ship and escape from the station. However they are pursued by a ship identical to the Liberator. 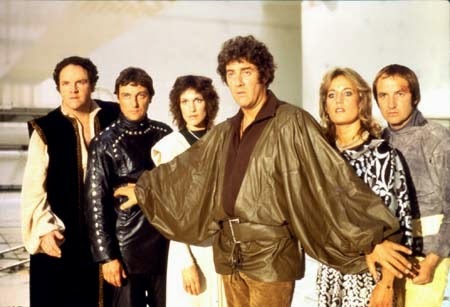 The crew prepares to fight but Avon has discovered that they are now in the part of space where Orac's prediction is to take place. The crew brace themselves for destruction...and the other ship explodes along with the rest of the station. Orac explains that it was he that caused the other ship to self-destruct, thus fulfilling his prophecy. With the Liberator back under his control, Blake sets course for Earth as he has unfinished business with the Federation. Blake: Has several show downs with Avon and it's clear that there will be a power struggle between them for control of the Liberator before too long. However he still has a lot of respect for Avon and relies on him for help. When he's threatened by a live cable it's Avon he turns to for assistance. Blake will help anyone who is being oppressed as seen in this episode when he goes to the aid of a fallen slave. This small act seems to inspire the slave to assist Blake later. Avon: Works out where Orac's prediction is supposed to occur but doesn't inform the rest of the crew for several hours. This brings him into conflict with Blake who is angry with Avon for withholding the information. 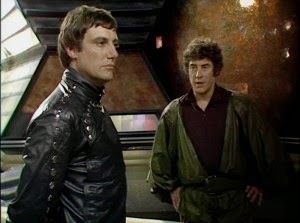 They have several such arguments over the course of the episode and Avon looks to be tiring of Blake's style of leadership. However, despite their issues, Avon still saves Blake from being electrocuted by a live cable. Vila: Is the second member of the crew to be captured. Once again proves his worth by using his lock picking skills to break everyone out of their cells. Gan: Doesn't have a lot of luck in this episode. He burns his hand when attempting repairs and is then the first of the crew to be captured after he wanders into the teleport section just as the invaders are boarding the ship. He does redeem himself later by holding off several guards whilst the crew are trying to escape back to the Liberator. Zen: For the second time in as many episodes, Zen and the Liberators systems are taken over by an outside influence. This time it is the Liberator's own creators that are in control, feeding a computer program into the ship's systems that make them turn on the crew. We're finally given some back story for both Zen and Liberator as it's revealed that they were the creation of the System. 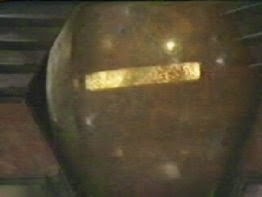 We also discover that the Liberator was not unique - there was at least one other 'sister' ship which is destroyed in order to fulfil Orac's prophecy. 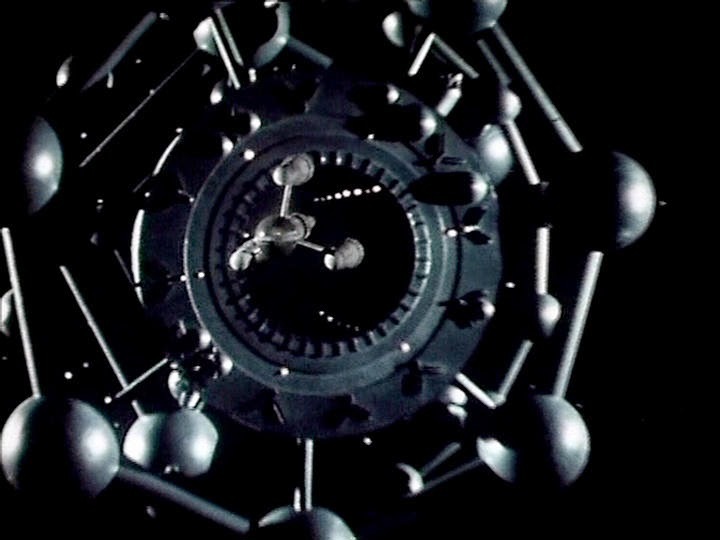 Orac (voiced by Peter Tuddenham): Refuses to give Blake any indication as to the time and location of the Liberator's destruction as Blake could then avoid it and thus invalidate his prediction. Later, he is unable to work on getting the Liberator back under the crew's control as he has a more important task to complete first. On this occasion, though, it turns out that he's not being unhelpful, merely ensuring that his prediction comes to pass. This opening episode of season 2 seems like an opportunity by Terry Nation to tie up some loose ends from the first series and set things up for the episodes to come. The cliffhanger to the previous series is resolved, we finally meet the people who built the Liberator and the tensions between Blake and Avon finally come to a head. Much of the episode is set entirely on board the ship and the bulk of the action is carried by the regulars, allowing the viewers to reacquaint themselves with the characters. That said, some characters get more screen time than others. Blake, Avon and Vila get the most to do with Gan, Cally and Jenna being largely sidelined. So some things never change. Avon in particular come out of this episode very well. It's he who works out what is going on and his witty put-downs give him the edge in his arguments with Blake. It's clear that Avon is being set up for bigger things and one does feel that the Liberator won't be big enough for both his and Blake's egos to coexist. As I mentioned in my introduction to Series B, there was a increase in the budget for this series and it really does show on the screen. The model work used in the space battle and the Liberator's journey to the space station - while not exactly spectacular by today's standards - is a step above what we saw in the last series. The costumes too are much better if less practical, and it's interesting that, even when faced with the threat of imminent destruction, the crew still have time to raid their wardrobes and get their hair done. The one really disappointing aspect of the episode is the System. I was excited as the prospect of finding out who built the Liberator and was somewhat disappointed at how they were realised. I had hoped for something a bit more exciting than a giant computer. It also doesn't really fit with what we already know about the Liberator. Why for instance, would a group of unfeeling, robot-like people like the Altas stock their ships with kind of diverse and interesting clothes that Blake and his crew wear? As they're all wiped out at the end of the episodes, questions like that remain unanswered. 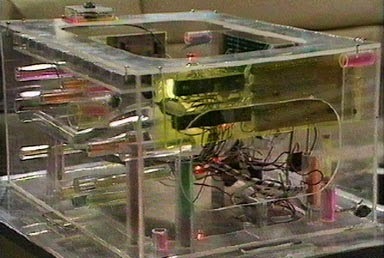 Next time, Orac gets his very own episode something that Gan had to wait ten episodes for. Join me for 'Shadow'.